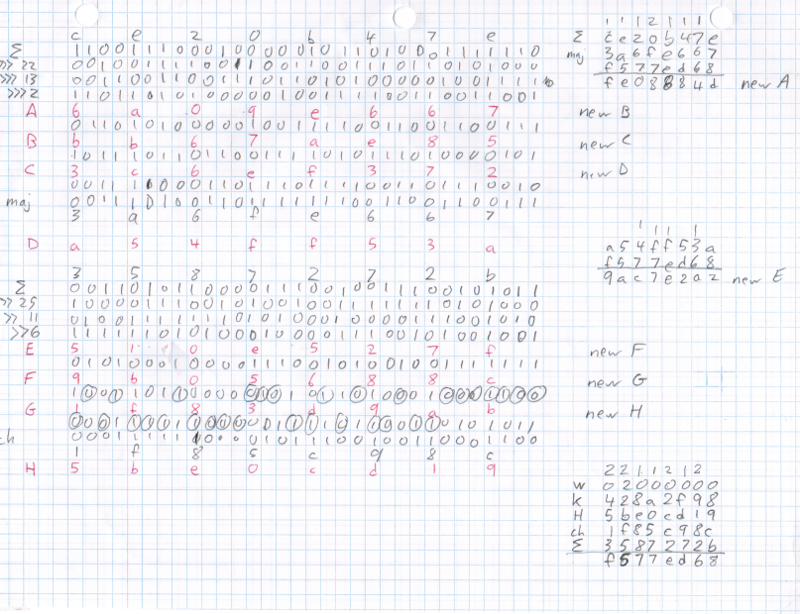 Google engineer Ken Shirriff has mined Bitcoins with nothing more than a paper and pencil. While he says the process is about a quintillion times slower give or take than than a Bitcoin mining rig, the algorithm was easy enough to crunch. Shirriff completed a round of SHA-256 in 16 minutes and 45 seconds at which rate a full Bitcoin block would take about a day and a half, less with more practice, he said. "The SHA-256 algorithm is surprisingly simple to do by hand," Shirriff said. "In comparison, current Bitcoin mining hardware does several terahashes per second, about a quintillion times faster than my manual hashing. "Not surprisingly, the process is extremely slow compared to hardware mining and is entirely impractical." It was a good way to understand how Bitcoin worked, however. Miners run cryptographic hashing against blockchains in search of rare hash values. Simply put, this hunt becomes mathematically more difficult over time, as this graph shows, but it can in theory get easier. Mining groups run highly optimized hardware to get the next "hit" on the algorithm. Shirriff described the hashing process in detail on his blog which crypto geeks and Bitcoin punters can follow, to learn how to mine coins on the daily commute or while waiting on the airport tarmac. "A cryptographic hash function takes a block of input data and creates a smaller, unpredictable output. The hash function is designed so there's no 'short cut' to get the desired output - you just have to keep hashing blocks until you find one by brute force that works. For Bitcoin, the hash function is a function called SHA-256. To provide additional security, Bitcoin applies the SHA-256 function twice, a process known as double-SHA-256."